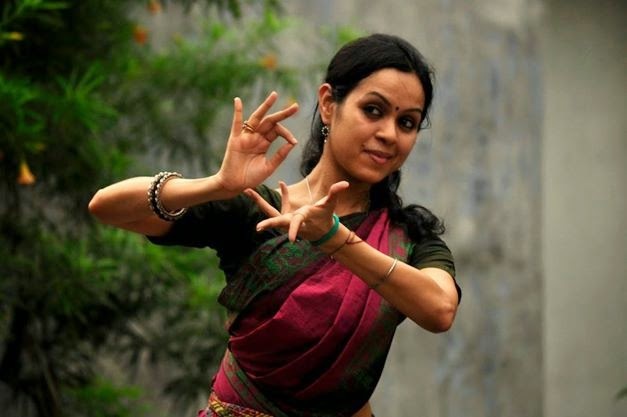 Arupa Lahiry, is a passionate dancer from Kolkata, whose search for excellence in Bharatnatyam took her to study this art form from the legendary Smt. Chitra Visweswaran in Chidambaram Academy of Performing Arts, Chennai. Arupa, who is an MPhil in English Literature, a pursuing PhD scholar and a lecturer of English in a reputed college of Kolkata, continues to train under Smt. Chitra Visweswaran at Chennai. Arupa, also collaborates with various other dancers from different genres to create her own productions. CANADA: Living Arts Centre, Toronto, June 2010. FRANCE: Opera de Lille, Lille, November 29 & 30, 2011. Salle Adyar, Paris, November 03, 2011. MALAYSIA: International Bharatnatyam Festival, Kuala Lumpur, June 2012. Temple of Fine Arts, Johor Baharu, June 2012. CHENNAI: Madras Music Academy, ‘Spirit Of Youth’ Series, September 2008. Brahma Gana Sabha, July 18, 2011. Kartik Fine Arts, November 2008. NEW DELHI: Unbound Beats – a young dancers’ festival, India International Centre, May 2009. Neemrana Music Foundation, 2008, 2009, 2010, 2011. KERALA: Soorya Festival, Trivandrum, November 2, 2010. Cochin Festival, Jt Pac, Cochin, November 3, 2010. Dharani Festival, Erranakulam, November 4, 2010. MUMBAI: Swami Haridas Sammelan, January 2011. Rasika Ranjani Sabha, January 2010. Kal-Ke-Kalakar Festival, Sur- Sringar Samsad, April 2010. KOLKATA: Uttarpara Sangeet Chakra, May 23, 2011. Kalamandalam Festival, May 4, 2011. AHMEDABAD: Nattarani Dance Festival, Darpana Academy, May 2012. MYSORE: Pallavotsav, October 5, 2010. ORISSA: Ekamra Festival, Bhubaneshwar, June 22, 2011. ASSAM: Prakjyoti Festival, (Sangeet Natak Academy sponsored), Guwahati, January 2010. PONDICHERRY: Neemrana Music Foundation, 2008; 2010 (February & December). Aurobindo Ashram, Pondicherry March 2009. OTHERS: IRCEN Lec-Dem series in Murshidabad, West Bengal, 2011. Natyanjali Dance Festivals: — Chidambaram, Thanjavur & Kumbakonnam, February 2007, 2008, 2009. Tamil Isai Sangams: — Pollachi (July 2007) & Madurai (May 2008). Bhagvata Mela Festival, Mellatur (May 2008) amongst others. Raghuvamsa Thillakam – Bharatiya Vidya Bhavan, Shri Krishna Gana Sabha, especially in Madras Music Academy Dance Festival as ‘Seetha’ (January 5, 2011), CHENNAI. Dwarkanatham Bhaje — Bharatiya Vidya Bhavan, CHENNAI. Nirantaraha – Happenings’ ‘Rabindra Utsav’, KOLKATA; Bharatiya Vidya Bhavan, Brahma Gana Sabha, Shri Krishna Gana Sabha, Bharat Kalachar, CHENNAI. Nritya Srinkhala – National Dance Festival, Ahmedabad; Padma Sarangapani, RASA December Dance Festival, CHENNAI. and has been hailed for her sensitive portrayal of various important characters like Seetha in Raghuvamsa Thilakam. Arupa has also accompanied her guru, Smt. Chitra Visweswaran for various lecture-demonstrations (SPICMACAY lecture-demonstration series; Natyakala conference, Shri Krishna Gana Sabha etc.) besides being a staff-member of her guru’s premium institution ‘Chidambaram Academy of Performing Arts’, Chennai.Arupa has choreographed and danced for a bhakti series ‘Main Kaun’ aired in Zee Networks and has been featured in reputed tabla player Tanmoy Bose’s music album released from the label ‘SaReGaMa’. Arupa is a Senior Scholarship holder from the Department of Culture, Government of India further enabled her to do so. 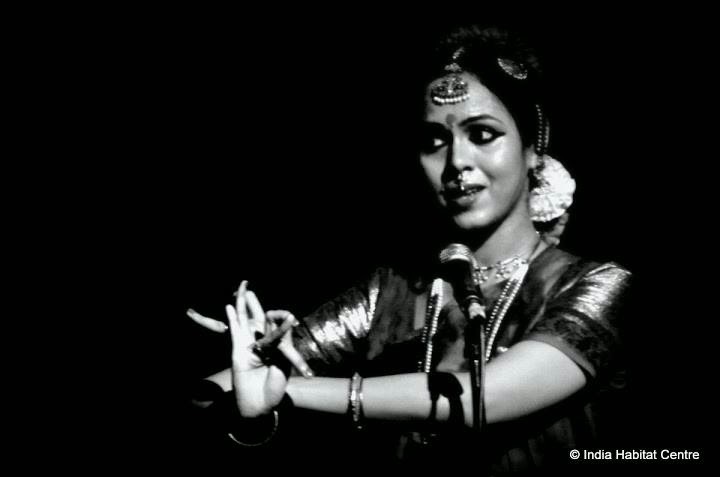 She has gone on to prove her mettle in solo performances at major festivals and sabhas, nationally and internationally.